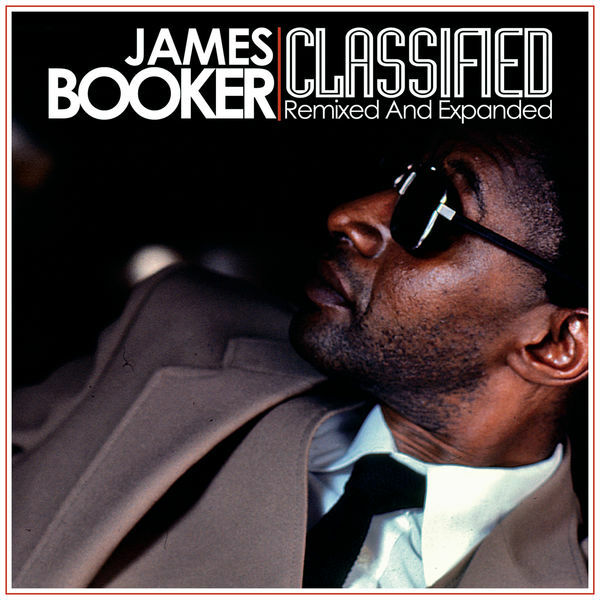 James Booker, MainArtist, ComposerLyricist Copyright : ℗ 2013 Concord Music Group, Inc.
James Booker, MainArtist - James - Gibson, ComposerLyricist Copyright : ℗ 2013 Concord Music Group, Inc.
James Booker, MainArtist - Richard Stewart Addinsell, ComposerLyricist Copyright : ℗ 2013 Concord Music Group, Inc.
James Booker, MainArtist - Lloyd Price, ComposerLyricist Copyright : ℗ 2013 Concord Music Group, Inc.
James Booker, MainArtist, ComposerLyricist - Irmaos Vitale, ComposerLyricist - Jose Gomes de Abreu-Aloysio de Oliveira, ComposerLyricist Copyright : ℗ 2013 Concord Music Group, Inc.
James Booker, MainArtist - Titus Turner, ComposerLyricist Copyright : ℗ 2013 Concord Music Group, Inc.
James Booker, MainArtist - Earl Brent, ComposerLyricist - Matt Dennis, ComposerLyricist Copyright : ℗ 2013 Concord Music Group, Inc.
James Booker, MainArtist - Doc Pomus, ComposerLyricist Copyright : ℗ 2013 Concord Music Group, Inc.
James Booker, MainArtist - Roy Byrd, ComposerLyricist Copyright : ℗ 2013 Concord Music Group, Inc.
James Booker, MainArtist - Roger Miller, ComposerLyricist Copyright : ℗ 2013 Concord Music Group, Inc.
James Booker, MainArtist - Nino Rota, ComposerLyricist - Parti Siae, ComposerLyricist Copyright : ℗ 2013 Concord Music Group, Inc.
James Booker, MainArtist - Jerry Leiber, ComposerLyricist - Mike Stoller, ComposerLyricist Copyright : ℗ 2013 Concord Music Group, Inc.
James Booker, MainArtist - Allen Toussaint, ComposerLyricist Copyright : ℗ 2013 Concord Music Group, Inc.
James Booker, MainArtist Copyright : ℗ 2013 Concord Music Group, Inc.
James Booker, MainArtist - Bert Kalmar, ComposerLyricist - Harry Ruby, ComposerLyricist - Edward Buzzell, ComposerLyricist Copyright : ℗ 2013 Concord Music Group, Inc.
James Booker, MainArtist - James C. Skinner, ComposerLyricist Copyright : ℗ 2013 Concord Music Group, Inc.
James Booker, MainArtist - Antoine Domino, ComposerLyricist Copyright : ℗ 2013 Concord Music Group, Inc.
James Booker, Arranger, Work Arranger, MainArtist - PUBLIC DOMAIN, ComposerLyricist Copyright : ℗ 2013 Concord Music Group, Inc.
© © 2013 Rounder Records. Manufactured and distributed by Concord Music Group, Inc.
℗ 2013 Rounder Records. Manufactured and distributed by Concord Music Group, Inc.